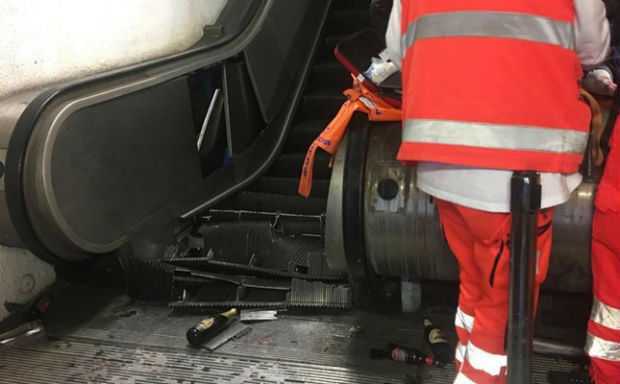 More than 20 people were injured in Rome when an escalator in the central Rome metro station has collapsed in the Tuesday night. According to the firefighters’ report, most of the victims were Russian football fans. 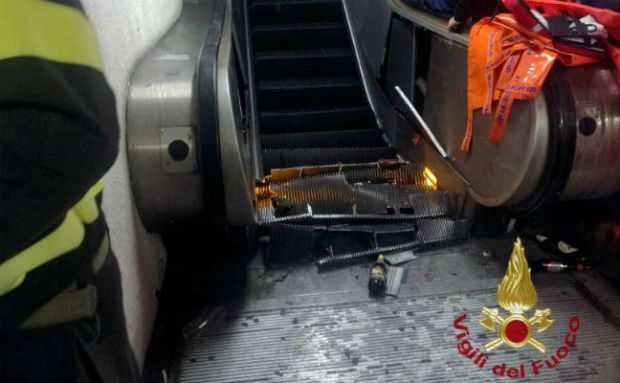 The Italian media reported that most of the victims suffered leg injuries as they got entangled in the mangled mechanics of the escalator. The report also states that one victim is now in serious condition after the incident. A descending escalator at the central Rome’s Repubblica station suddenly picks up speed while having dozens of people on it. Those started screaming after they piled on top of each other at the foot of the escalator after that dramatic accident. The video surfaced on the internet shows that most of those football fans were drunk while dancing and jumping on the escalator before it collapses. However, the supporters denied that story and blamed the metro rail authority for that accident. The horrific accident took place around 5:30 PM (GMT), around an hour before the much-awaited Champions League match between Italian side AS Roma and Russian football club CSKA Moscow. The Russian fans were headed to the metro rail that links them to the stadium. The Italian authority issued heightened security in Rome for more than 1,500 Russian supporters, alleged to be notoriously rowdy, and is expected to be present at the match against AS Roma. The authority already stopped one Russian supporter in the airport as he tried to enter Italy for the match. That man already received a stadium ban due to his notorious behavior at the ground.